KANYE WEST DISSED BY KARDASHIAN JENNER AFTER BREAKDOWN! 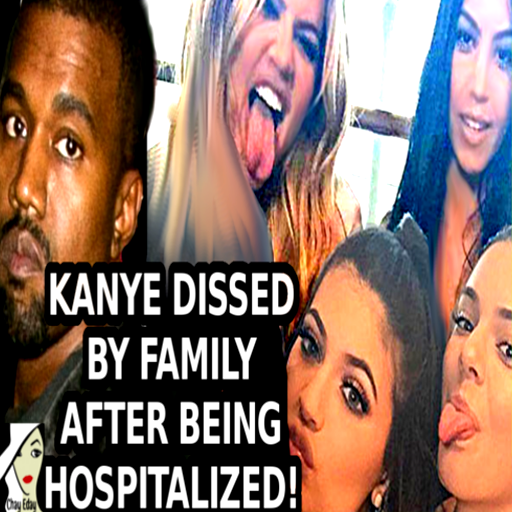 Kanye West’s “family” has been TOTALLY DISSING him, since he’s been hospitalized for a mental breakdown! The Kardashian and Jenner crew are doing the most disgusting things ever. And yes, I’m bringing the receipts! Now let me be very clear with who is getting put on blast. I’m calling out Khloe Kardashian, Kourtney Kardashian, Kylie Jenner, Kendall Jenner, Kris Jenner, and Caitlyn Jenner. However, I am not addressing Kanye‘s wife, Kim Kardashian West. She has been by his side, ever since the breakdown. Also, I’ve given Rob Kardashian a pass, simply because he is a new dad. His baby daughter, Dream, was born last week. However, everybody else have proven that they are backstabbing hyenas, that put fame before family. After Kanye called out Jay Z and Beyonce for being disloyal, everybody was in shock. At the end of his 20 minute rant, he abruptly cancelled the show, and eventually the rest of his ‘Life Of Pablo‘ tour. The next day, his doctor placed him on a 5150 involuntary hold, and forced him into the UCLA hospital. He has now be placed on suicide watch, and is reportedly suffering from hallucinations and psychosis. Really sad, right? Now watch this video and see the Kardashian and Jenner virtually step over Kanye, while he is fighting to keep his sanity. I just recently started to grasp the severity of what Kanye is going through. He’s an incredible artist who makes sculptures with sounds and lyrics. “Blood on the Leaves” alone is a terrific masterpiece of a song. I wish Kanye all the best.